PREMIERING in the city this Thursday is legendary playwright Girish Karnada��s Boiled Beans on Toast, directed by Lilette Dubey. A nod to the ancient tale of how Bangalore came to be named, the play seeks to examine the ordinary lives of a cross section of inhabitants of the bustling city. a�?Girish Karnad is a highly intelligent man and this play is proof of his keen observation and insight into commonplace occurrences,a�? shares Dubey. Hailed as a contemporary Chekovian comic drama, the narrative revolves around a bunch of misfits, each facing different dilemmas. 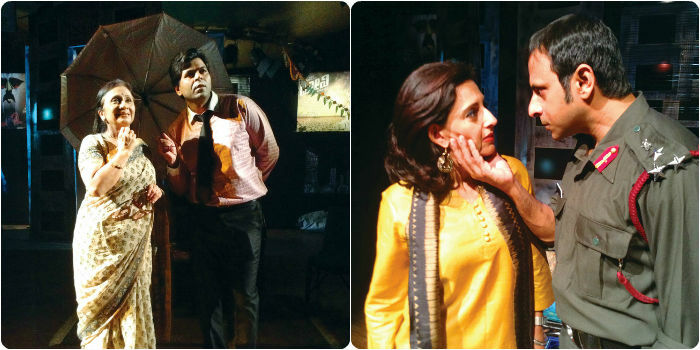 The motley bunch, from various economic, social and geographical backgrounds make Bangalore their home and as the play progresses, the city reveals itself gradually as each of them follow varying paths of self discovery. a�?It is very entertaining owing to the extremely interesting characters created by Girish. The problems they deal with are familiar, realistic and not too dramatic, so it is easily relatable to the audience,a�? Dubey explains. Starring Avantika Alerkar, Deepika Amin, Avnish Mehra, Swati Das, Gillian Pinto and Joy Sengupta, the plot is rich with equal amounts of humour, chaos, sadness, and cruelty. For a job seeker from a remote town, the chaos of the city offers a promising future, while a serene old lady loses herself in the thrill of horse racing. A bored housewife seeks an outlet for her singing talent and finds it in the most unusual of places, while a lady from a small village tries to find a place in the busy megalopolis. Each of these characters is connected and the plotlines intersect, causing a chain reaction, affecting everyone involved. some serious themes like urban migration and environmental destruction. For example, the young man who moves to the city in search of a job is mesmerised by the concrete jungle, while the upper middle classes complain about the pollution and noise,a�? Dubey reveals. a sense of globalised Bangalore and showcases how the city grows on each protagonist. Dubey has also gone the extra mile to make it more real with the maids and small town migrants speaking with an accent and adding a few choice Kannada and Tamil phrases for effect.